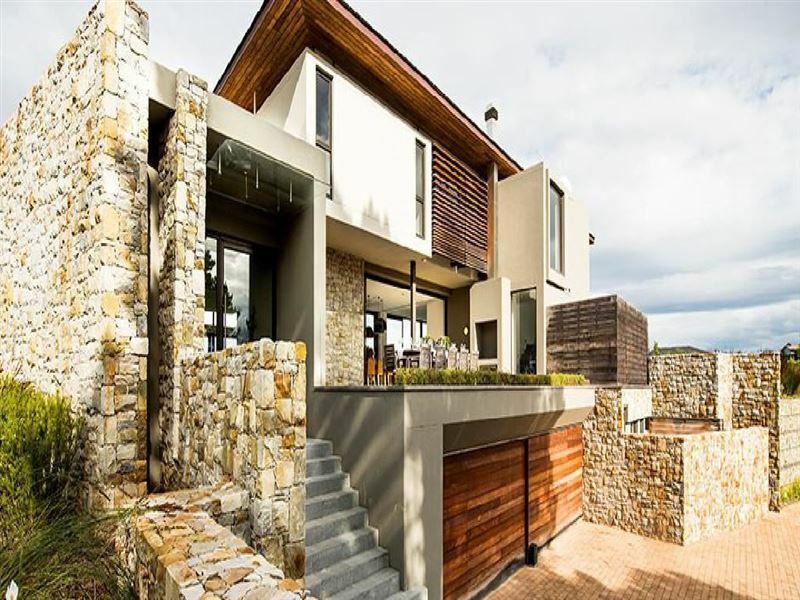 Simola Luxury House is a 5-Star house located in the Simola Golf and Country Estate in Knysna. 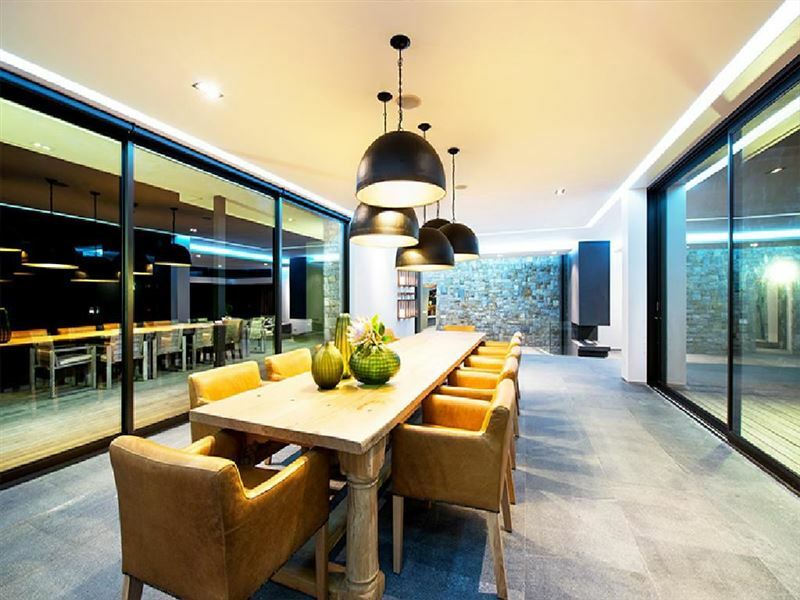 This 1375 square-meter home has views extending across the golf course, the woods, Knysna Lagoon and Knysna Heads. The five en-suite bedrooms are luxurious and feature king-size beds or twin beds. Each room is air-conditioned, and the bathrooms have heated towel rails; uncapped Wi-Fi and electronic safe are available. 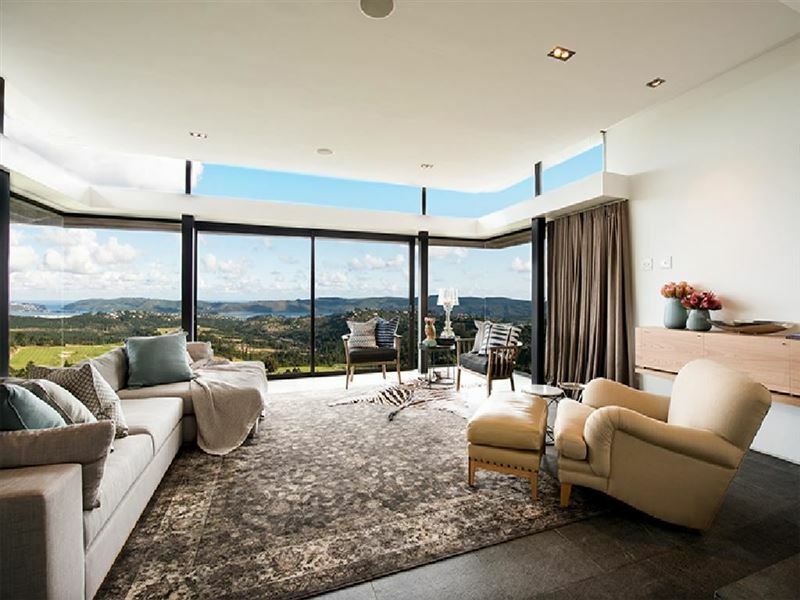 The living area has an L-shaped couch, a fireplace and stunning views. 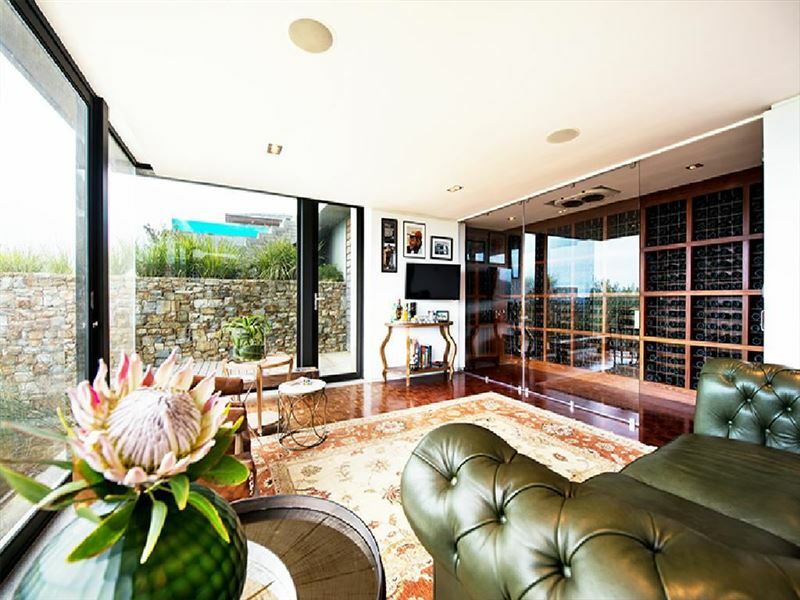 There is also a cigar lounge leading to a wine cellar, a dining room seating 12 and a large TV lounge fitted with a 55-inch LED flat screen TV, full HD Explora HD PVR, cable TV, a Blue Ray DVD player, surround sound, a high-end sound system, an IPod input, a fridge and a variety of board games. 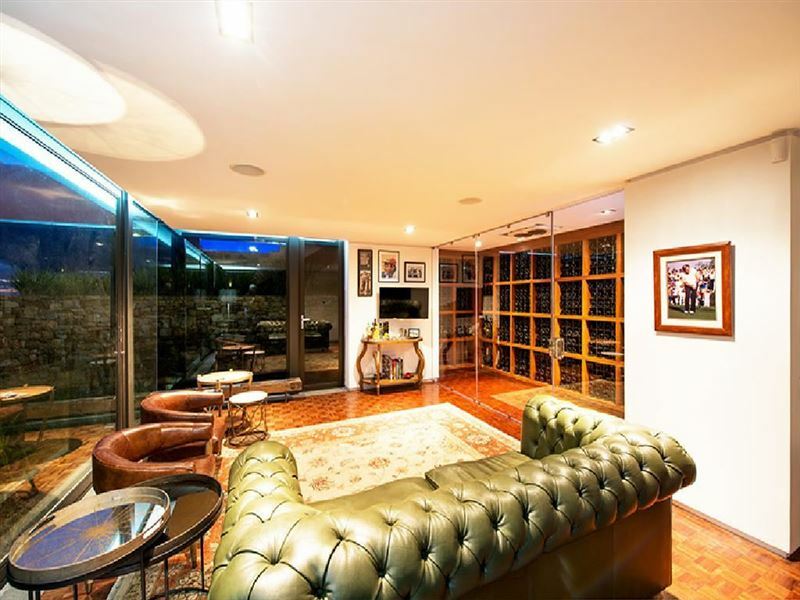 Additional rooms include an outside play area, a gym, an upstairs TV room and an upstairs office. 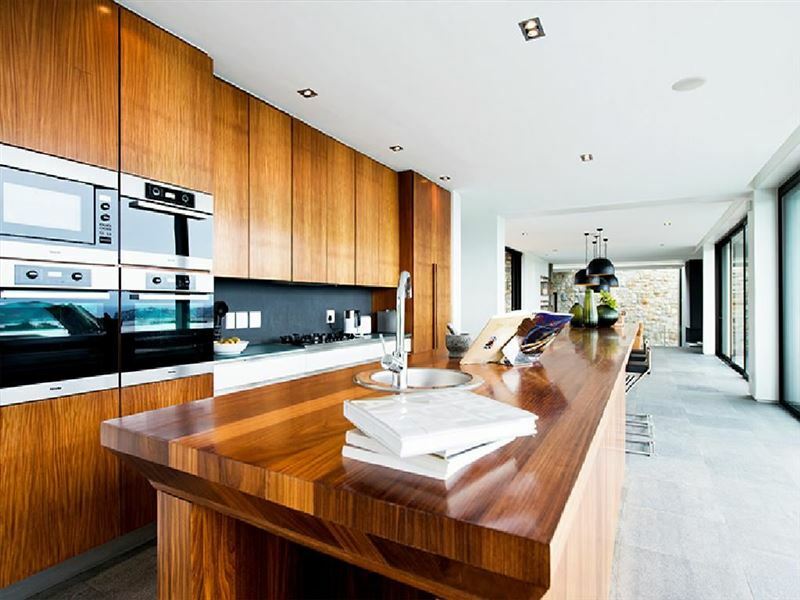 This fully equipped kitchen has two state-of-the-art ovens, a microwave, gas stove tops, two dishwashers, a coffee and cappuccino machine, an ice machine, a working area and pantry with a washing area and additional storage space. 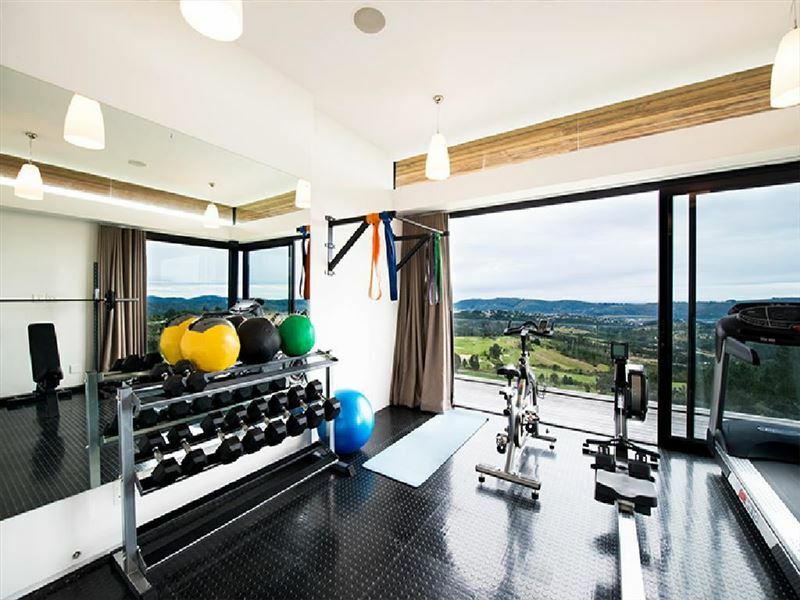 This area have views over the swimming pool and Knysna Lagoon. Had an amazing time. 5 stars all the way. Great breakfast, magnificent views and friendly staff. 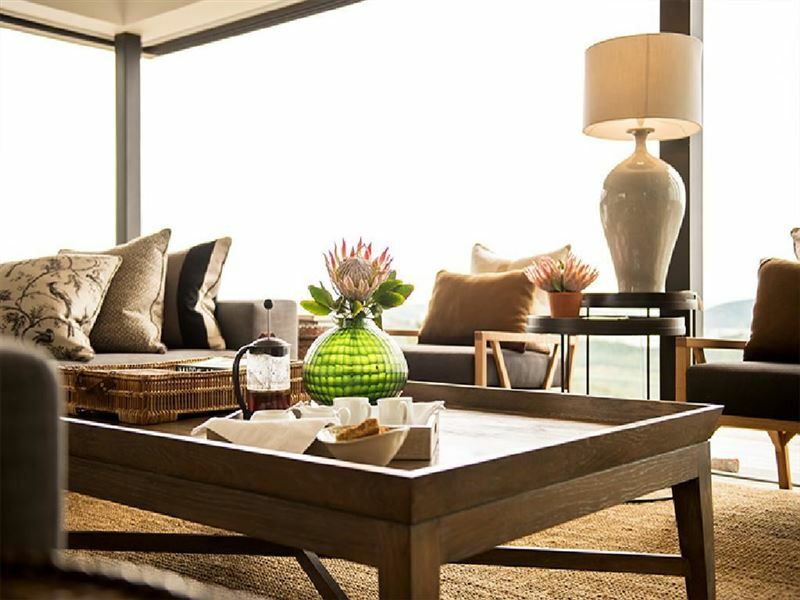 Request a quote from Simola Luxury House at no obligation.